US 77 Caddo Creek Bridge, Carter Co. 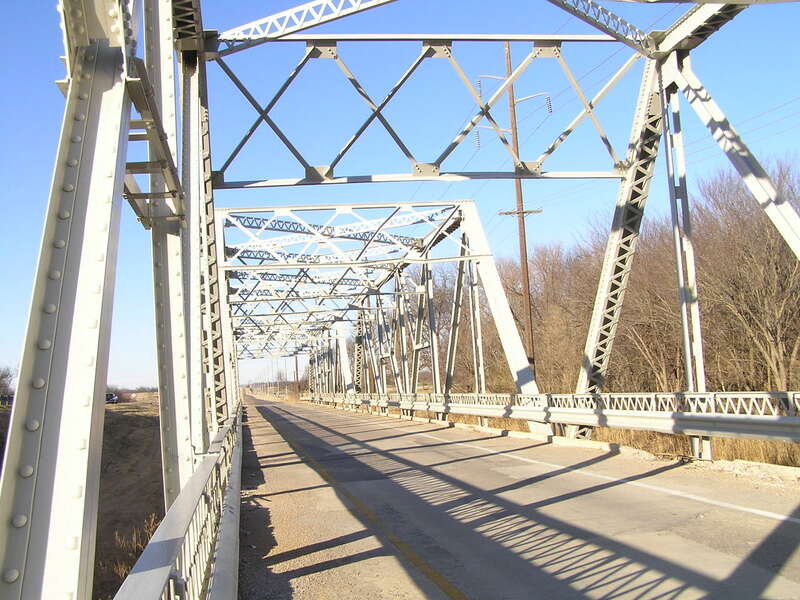 Built in 1929-1930, this good sized bridge consists of three 120-foot modified Pratt spans with a short approach at the south end. 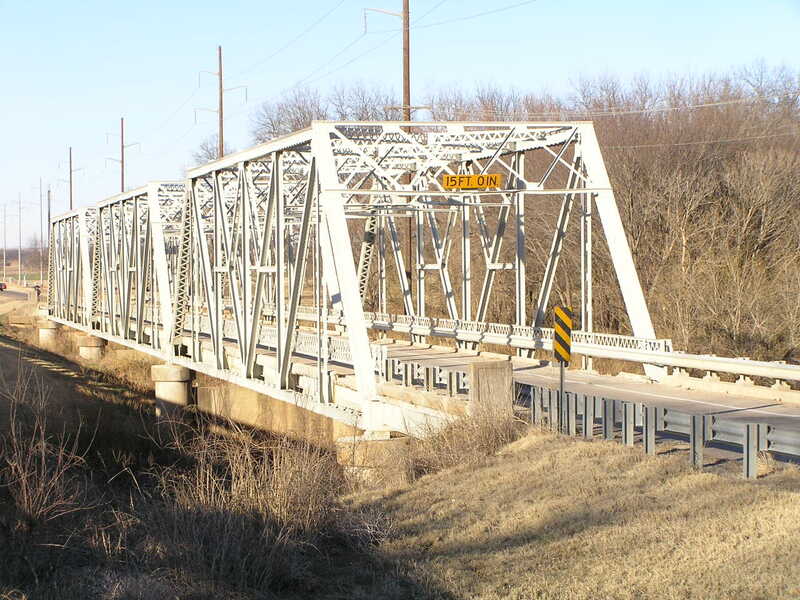 This bridge is located about 5 miles north of Ardmore. Above, a view looking north thru the structure. US 77 is a divided highway here, and although the bridge's deck is 22 feet wide, it is considered too narrow for two lanes of same direction travel, though you can see it was striped for two lanes at one time. Below, the Federal Aid Project marker on the south wing post. Above, an angle view of the bridge. 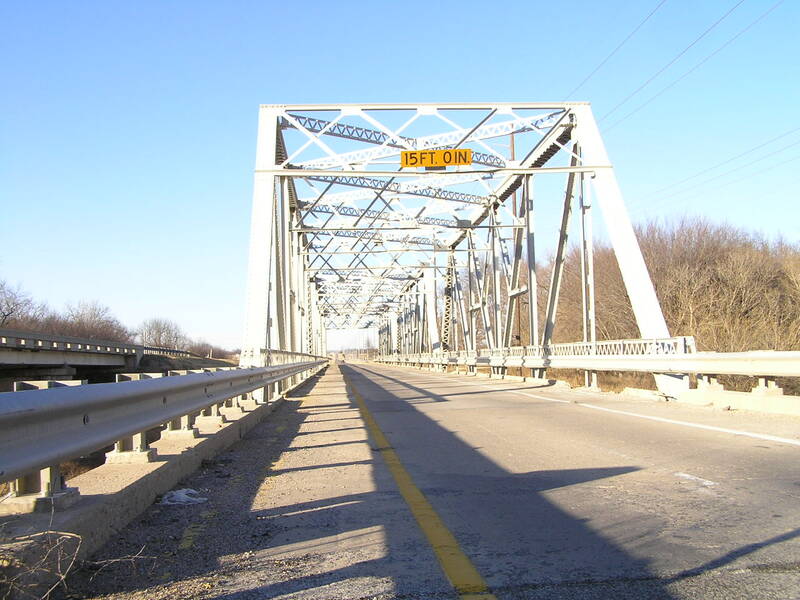 It appears the bridge is being kept up, as the paint is in good condition, and little rust was found. Below, view on the deck showing overall condition of bridge. Note the tall portal. This would have had curved corner knee braces, but these have been removed. Above, another thru view. This is really a fine bridge, and we are hopeful that it will stay around.